There are 3 reviews of The British Bouquet. Nice considering the over-simplistic pyramid. Opens with citrus Lavender and malt. There is a step above department store fragrances. At around $100 it is not unique enough for that price. Starts with an aromatic dusky citrus note. The "malt" is evident immediately, in a toasty, fruity-fermented note. Not particularly pleasant, in my opinion. A vague green crisp leafy note, from the myrtle. No lavender. Cool, aquatic, generic. Uninspiring, bland and slightly sweet in dry-down. Nothing to recommend it, and certainly not to warrant its high price. What a terrible letdown. The British Bouquet starts off with citrus mixed with a smell akin to chewing on tin foil. And it's all drenched in whatever that cheap-smelling bleachy aquatic "woody amber" chemical is. Given time, the citrus fades and I'm left with basil and dark green herbs mixed with that bleachy metal smell, and after about an hour, nothing but that terrible cheap aquatic base that really awful men's designer scents use. If you like this sort of thing, you could smell like this for around $20, so I don't see why The British Bouquet is necessary when the shelves at discount stores are full of Curve and forgotten Kenneth Coles. 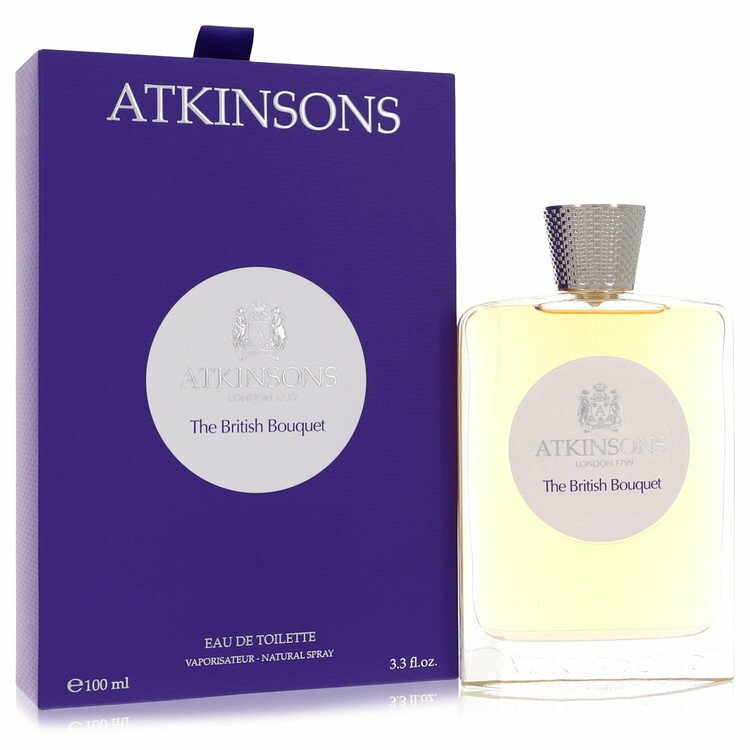 ATKINSONS THE BRITISH BOUQUET EAU DE TOILETTE SPRAY 3.3 OZ / 100 ML NIB. There are no member images of The British Bouquet yet. Why not be the first?